The wide-ranging report was worth the cost, insists Finance Minister Tom Osborne. Marketing berries and honey, building a hotel and spa on Newfoundland's west coast and speeding up the development of an offshore oil operation centre. These are just some of the recommendations in a report on how to diversify Newfoundland and Labrador's economy — which the government initially wasn't going to reveal until after the provincial budget. McKinsey & Company, a New York-based management-consulting firm with offices in Canada, was paid $1 million by the provincial government for the report, which lists 12 ways to help add 30,000 new jobs by 2030 and increase the GDP of between $5 billion and $12 billion. 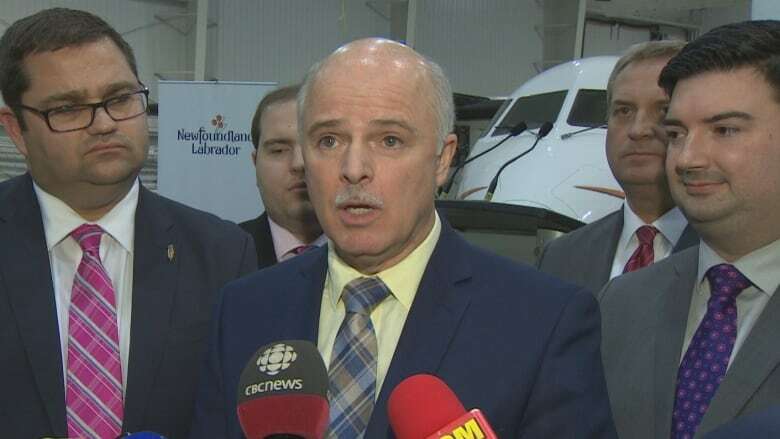 While the report lists multiple opportunities,the province is acting on just one of them now and spending $200,000 on a feasibility study to "explore opportunities for additional maintenance, repair and overhaul operations for heavy checks of commercial aircraft." "If we are able to get a piece of that action in this province, it is hundreds of high-paying jobs. That links in with innovation. That links in with technology. It creates a number of spinoff industries," said Finance Minister Tom Osborne. "This alone, if this was the only thing to come out of the report — and there are many other things — if this was the only thing, it makes the report worthwhile." It's the latest in a string of funding announcements that started a week ago, ahead of the tabling of the provincial budget on Tuesday. 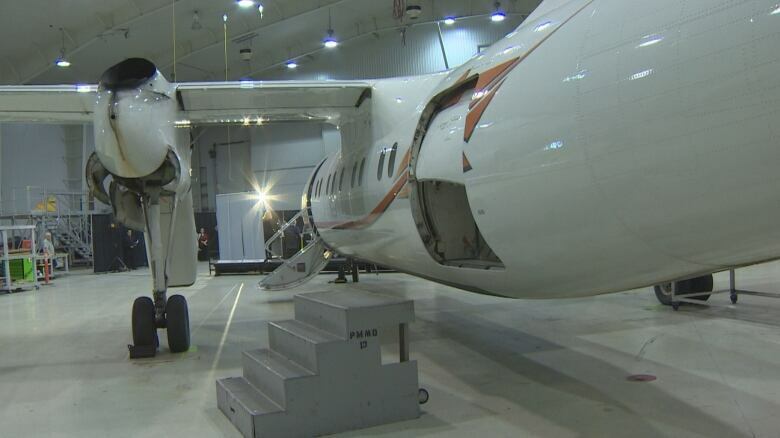 Osborne made the announcement Monday at PAL Aerospace Hanger in St. John's. At the same event, government also announced it has greenlit a proposal from the aerospace industry to officially designate aircraft maintenance engineer as a new, voluntary apprenticeship trade. High-potential sectors, including ocean technology, aquaculture and fisheries, tourism, offshore oil and mining. Targeted opportunities, including aerospace, agriculture, forestry and international education. Cross-cutting enablers, including investment attraction, education, skills and workforce development and digitalization. The 154-page report contains specific examples for the above-mentioned categories. Examples include, "Market and promote local specialty products that could be exported … including honey, berries and saltwater lamb" and " open a new aircraft mechanics training facility in St. John's and expand the aircraft mechanics training facility in Gander." Boosting tourism, specifically around the Gros Morne region, gets its own section. The report recommends more hotels, and a spa, adding bus routes from Deer Lake to Gros Morne, Marble Mountain and St. John's, and hiring tour operators who could offer hiking and winter tourism products. When the government announced last September it would pay $1 million for the consultant's report, there was criticism over the price tag. "Couldn't we collect those ideas from within the community without spending $1,000,000?" wrote Mary Walsh Butler on Twitter, one of several people who weighed in on the announcement. On Monday, when pressed by reporters what was actually new in this report, Osborne defended the report and its results. "We're building on the strengths we have, we're building on The Way Forward, we will take full advantage of every opportunity we have to diversify the economy," he said. "If we're going to grow the population, if we're going to make this an attractive place for people to live … we need to create jobs." There is more coming from the McKinsey & Company report, too. The government said Tuesday's budget will include "further initiatives informed by the McKinsey & Company report." The release of the economic diversification report represents a seeming change of heart by the government. In February, Osborne said it wouldn't be released until about six to eight weeks after the budget. "Cabinet will need some time to review the report," Osborne said at the time. The finance department had cited cabinet secrecy when it rejected an access-to-information request filed by CBC for records provided by McKinsey & Company as part of the process. Last October, Osborne defended McKinsey & Company after it was revealed that Saudi officials obtained a nine-page report by the company about social media reaction to economic issues in that country. A New York Times article said the report singled out at least three Twitter users who were targeted by the regime. Osborne said he was confident the company never intended for its report on social media in Saudi Arabia to be used by the kingdom to punish its critics, and the firm itself said it was "horrified by the possibility, however remote, that it could have been misused."